Sexual abuse often leaves invisible scars. Long after the abuse has ended, children and adults can feel tremendous pain and emotional consequences that take years of therapy and treatment to overcome. Because the perpetrators of sexual abuse are often adults who children know, it can be difficult for victims to regain trust in people. These are serious consequences, but there is hope. Many people who are sexually abused, including children, may pursue legal claims against sexual predators and the institutions and agencies that allowed abuse to happen. At The Orlow Firm, our Queens sexual abuse victims lawyers have significant experience helping victims of sexual abuse pursue justice through lawsuits. We serve throughout New York City, including Queens, Brooklyn, Bronx and Manhattan. If you have been sexually abused, do not wait to contact an attorney. New York’s statute of limitations for sexual abuse prevents lawsuits from being filed after a child reaches 18 plus five years, or 23 years of age. Often, the perpetrator is an adult who has a position of authority over a child, such as a teacher or coach, counselor or foster parent. Depending on the circumstances, you may be able to hold an employer, institution or other entity responsible for the sexual abuse. Foster care agencies can sometimes be held responsible for placing children in homes with sexual abuse. 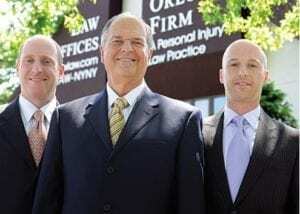 Our clients in Queens choose to file lawsuits for many reasons. Some may find healing through the power that comes from abusers and institutions or agencies accountable for their harm. They may take comfort in the knowledge that lawsuits may prevent abuse from happening to others. Our website has a number of articles on child sexual abuse as well. To learn more about how we can help you with a legal claim for sexual abuse, contact our lawyers today for a free consultation.